Customer support was great and theyu assisted me when tremendously when setting this software up. The calls are not recorded on the cloud. There is no SMS support. There are not many other programs that you can integrate with this software. I was so excited about the transition from AT&T landline service to Broadvoice Voip. The ability to have the Broadvoice app on my smartphone for receiving and making business calls from our business number while on the go was compelling for me. The features potential is great if those features actually worked reliably. However, after using the service for about a year now I have encountered constant glitches, shortcomings, lack of app development, spotty connectivity and absolutely atrocious support. I typically wait days if not weeks for responses from tech support and when I do get a response they often give me instructions that do not even correlate to their own app as if they are not familiar with the actual settings options available in the interface, forcing me to figure it out for myself. The app has not been working on the iPhone for months now and they have no proactive plan, timeline or response about getting it fixed. They simply keep telling me it’s a conflict as of now with T-Mobile and there is not further information. They ask me sometimes questions about how to update iPhone apps. The lack of care and response from tech support and the ridiculously long wait times to get anyone to respond at all are so unprofessional it’s somewhat staggering. The message that comes through loud and clear is “we don’t care, deal with it”. Not happy at all. Will definitely be looking for a different solution when my contract is up. It is disappointing to sign contracts with companies who display no integrity in their business practices coupled with complete disregard for quality of service and the opposite of customer support. Cons: Terrible support, Spotty service, Constant glitches, Faulty development. I needed a SIP Trunk with some numbers ported from another carrier that’s in a very rural area. Broadvoice was able to get these numbers ported when no one else seemingly could. The process from initial call to implementation was super smooth and very easy. Communication was perfect throughout, and I had no issues getting any questions answered in a timely manner. Lauren was great from the start – with no pressure – just answers. And using DocuSign for all contracts? EASY PEASY. I wish all vendors would follow suit. From start to finish, getting a new SIP Trunk with numbers ported took only two weeks. Server@Work will be doing business with Broadvoice again! Cons: Phone changes my settings every night. Other than that, it is great! Well, First off, We purchased our own phone system and had it installed for over 6k. Didn’t work, phones were poor quality and the VoIP capability that it was supposed to have never worked. After being fed up, we called around and got quotes for VoIP systems. Broadvoice won hands down. The price is great and all the features work great. it has everything we needed for a business. I am extremely happy with them. Broadvoice offers a wide range of different Cloud delivered Business Solutions, primarily providing Business VoIP and Unified Communications platforms. Founded by Jim Murphy, BroadVoice has had its humble beginnings starting as a pager company, run out of a college dorm room in 1987. BroadVoice has since grown to be awarded as one of the fastest growing business cloud communication companies in 2017. The provider has since won numerous awards including the 2017 Stevie Gold Winner for Sales & Customer Service, Unified Communications Excellence Award for 2017, and Internet Telephony Product of the Year 2018. The solution has evolved beyond just Hosted PBX and Business VoIP to also include a complete UCaaS platform as well as SIP Trunking and a Virtual Call Center platform. BroadVoice offers a comprehensive Business VoIP solution for businesses of any size. 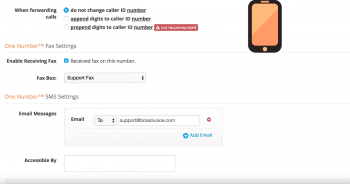 Rather than differentiating their different plans and options by placing user limitations, BroadVoice instead will tailor packages to better fit the specific needs of your organization. It is worth noting that there are some slight feature limitations, for example more advanced functionality like Call Recording or Virtual Faxing is restricted to the Professional plan. However, on the other hand, even the Metered solution offers a lot for organizations that are not looking to pay monthly. With the Metered plan, your team still gains access to the advanced call controls you need, like Call Waiting, Call Forwarding, Call Park, and Transfer. 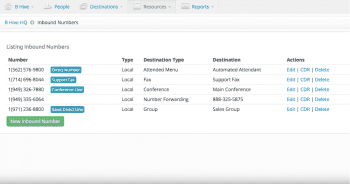 But even beyond just basic call controls, even the Metered plans includes some more advanced functionality like a Find Me Follow Me feature to ensure that you never miss a call, even when you are away from the desk. All plans also include SMS Messaging, with unlimited messaging included in the Standard and Professional plans. Upgrading to the Standard plan over Metered not only provides unlimited SMS texting, but also unlimited Domestic Calling and a Local DID number. In fact, BroadVoice offers DID numbers around the world, including in Europe, Asia, North America and even Australia. One truly unique aspect of BroadVoice’s platforms and solutions is their 4G Failover Network. In the event that your service has any issues, or your business loses an internet connection due to weather, hardware failures or power outages, the system will automatically divert data to the wireless nationwide 4G network. This ensures that your business will always stay connected without experiencing any interruptions in a worst case scenario situation. 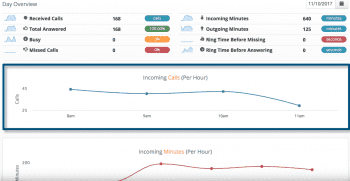 BroadVoice’s latest addition to their platform was the b-hive virtual call center platform, combining UCaaS, Contact Center and Cloud PBX communication tools into one single application. What Do You Think of Broadvoice?